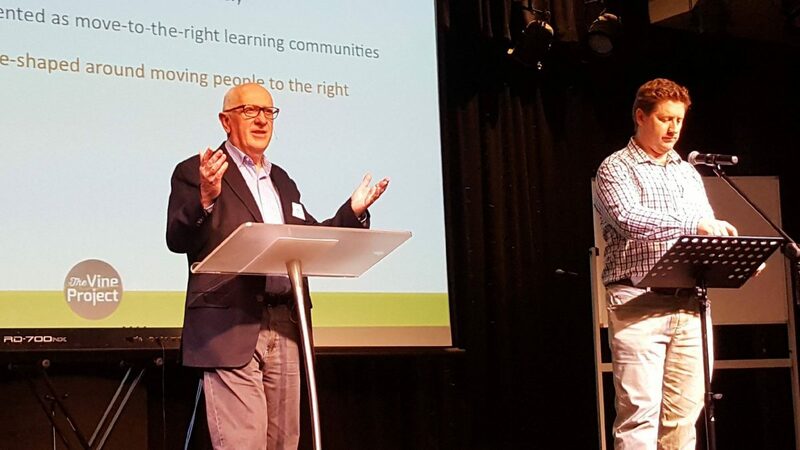 Don Carson joined the Perth Gospel Partnership Conference in Western Australia to speak on ‘Gospel Clarity in the Midst of Confusion’ on 14 and 15 August. About 200 ministry workers gathered to learn and encourage each other to lead the cause of the gospel of Jesus Christ in their churches and beyond. Col Marshall and Craig Glassock from Vinegrowers joined the group and presented on how to build a disciple-making culture and why culture change is needed. “It was a great encouragement to be a part of this event,” said Craig.